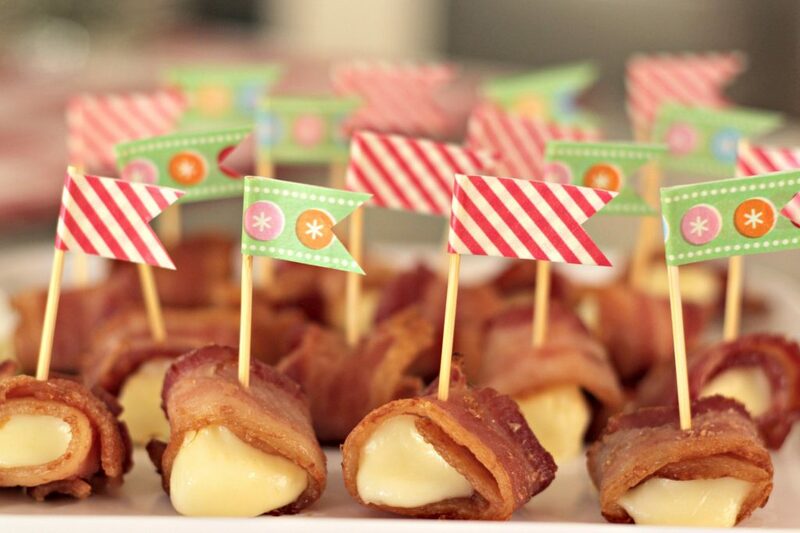 Easy and Delicious Bacon Bows and Bacon Mozzarella Bite Appetizers are perfect for Holiday parties. We have a large family (8 kids) and large extended family and have always enjoyed getting together, especially during the holidays. Of course getting so many people together means you need a lot of food. We’ve always enjoyed pot luck dinners where everyone can bring their favorite dish. Sometimes there’s a theme and sometimes you just bring what you want or are given an assignment. I like bringing appetizers because it gives me the chance to try something new on a small scale. 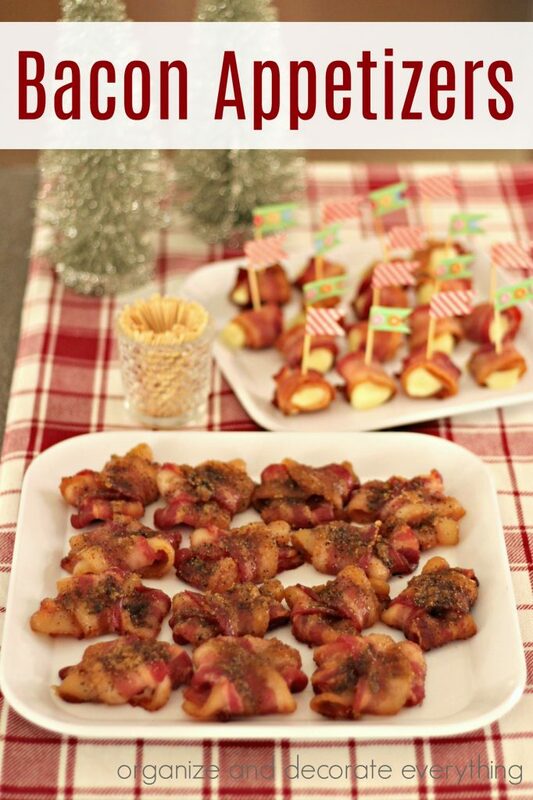 These Bacon Appetizers are definitely something I’ll be making again. 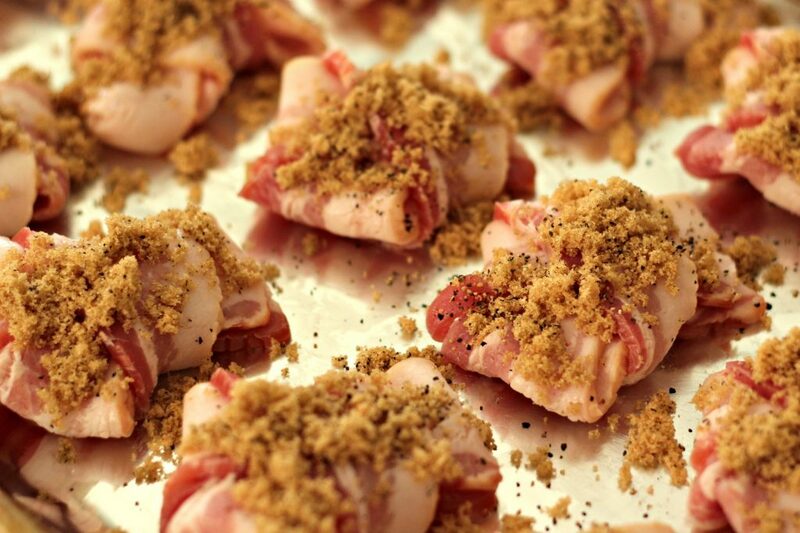 For the Bacon Bows and the Bacon Mozzarella Bites you only need a total of 4 ingredients. 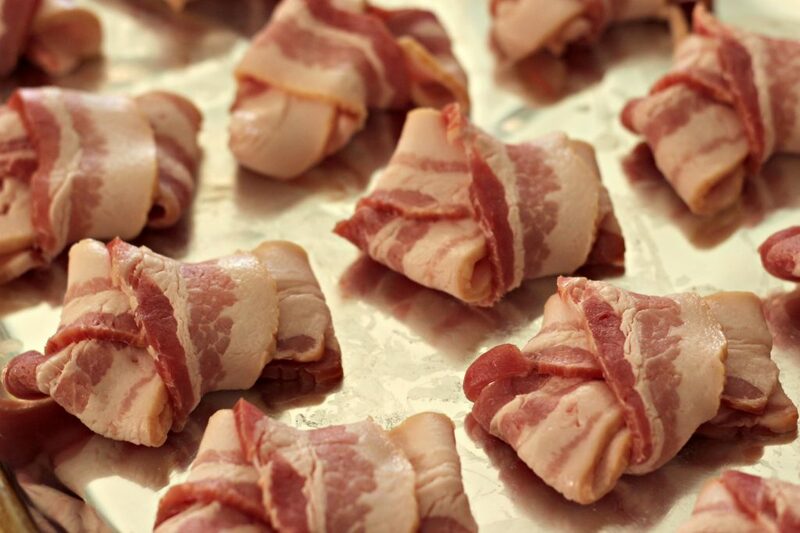 Let’s start with the Bacon Bows. Heat the oven to 400 degrees. 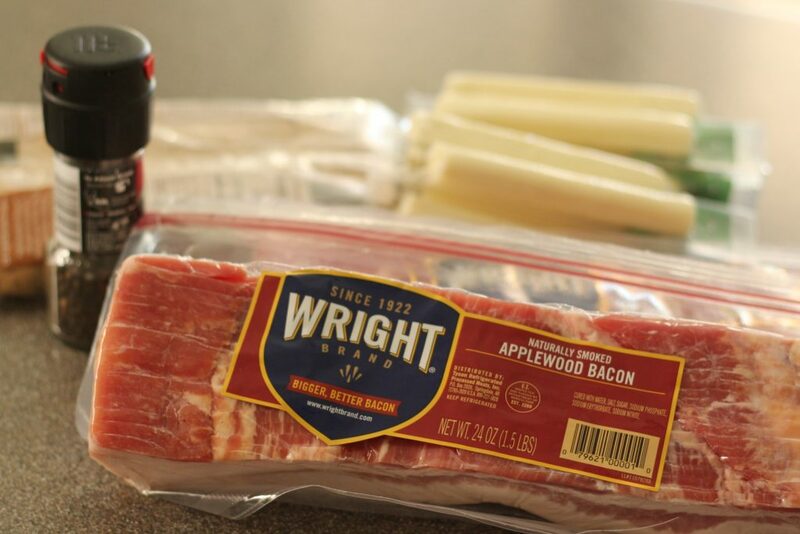 Tie a knot in the center of each piece of bacon then tuck the ends into the center to form a bow. My daughter says they look more like stars so you can call them whatever you want. Place the bows on a foil lined baking sheet. Mix together the brown sugar and cracked pepper. Sprinkle the mixture over the top of the bacon bows. Place in oven and bake for 25-30 minutes. Your kitchen (or whole house) will smell pretty amazing right now. 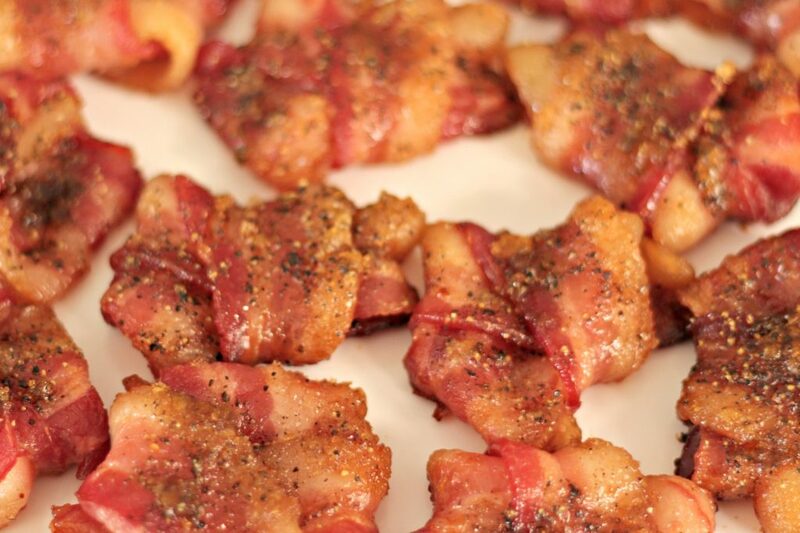 Remove bacon bows from baking sheet and place on paper towels for a couple minutes to soak up excess grease. These seriously taste like bacon candy. I might have taste tested too many of them. Yum! Now let’s make the Bacon Mozzarella Bites. Line another baking sheet with foil. Cut each piece of bacon in half. Cut each cheese stick in quarters. 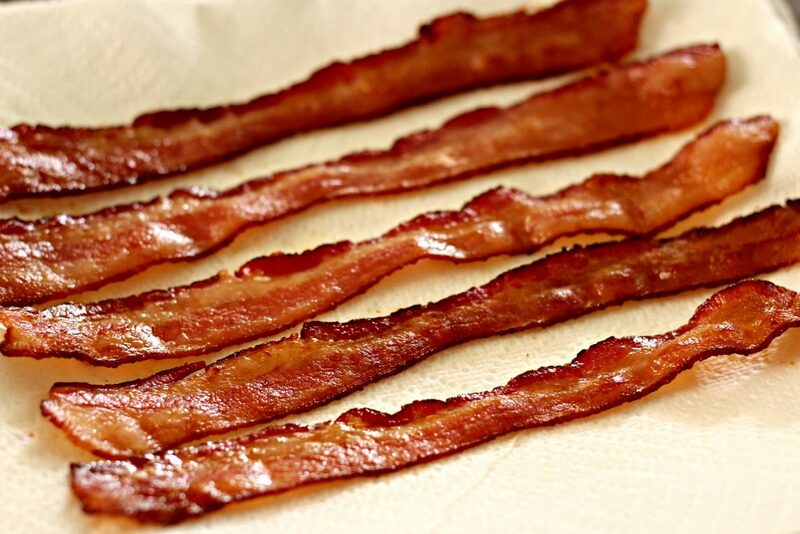 Place the bacon strips on a foil lined baking sheet and place in oven for 10-12 minutes. Place bacon on paper towels and let cool slightly. The bacon still needs to be easy to wrap around the cheese. 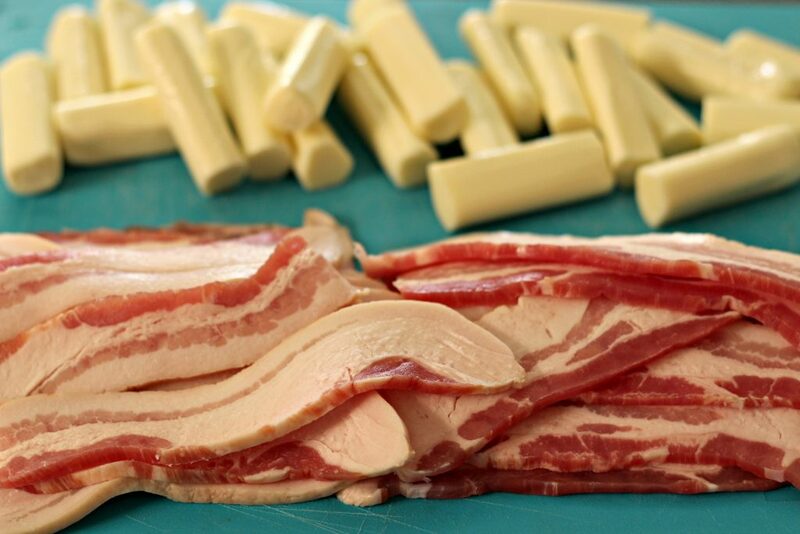 Wrap bacon around each piece of cheese and return them to the oven for 2-4 more minutes. Just enough time to let the cheese melt slightly. You can use regular tooth picks to help hold the bacon bites together and make them easy to eat. I added washi tape to mine to make cute and festive flags for the holiday season. Simply wrap washi tape around the top of the toothpick and cut out the end. They’re so easy to make that you could have your kids or someone else make them while you prepare the appetizers. I’m so excited for holiday parties, concerts, caroling, and school programs but that also means this season is hectic. 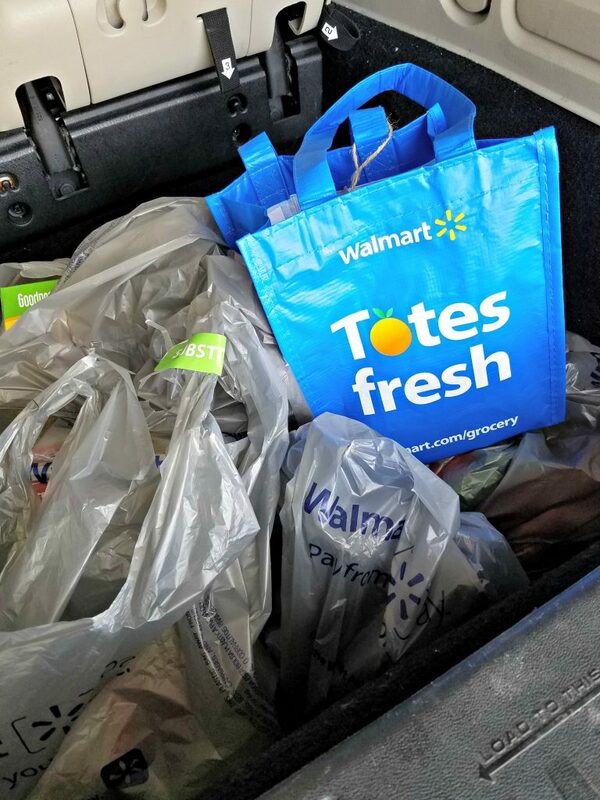 I tried Walmart on-line grocery pick up last week and let me tell you it is a game changer. I just ordered my groceries the night before and scheduled a pick up for the next morning. I used the app to let them know when I was on my way and they brought my groceries out to my car as soon as I drove up. It is such a time saver and I saved money by not buying things I didn’t need. I will be using it regularly and highly recommend it. Just think of how much time you will be saving from walking the grocery aisles. I hope you enjoy these recipes and the holiday season!